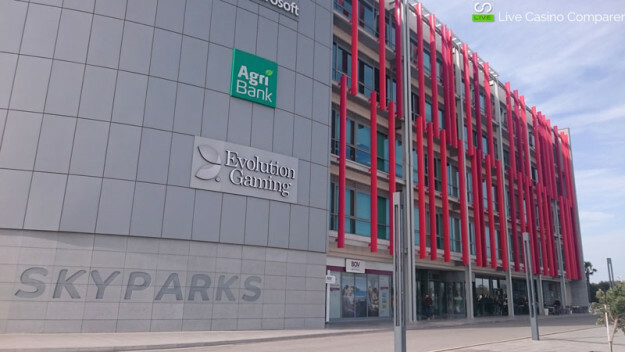 I’ve been very fortunate that I’ve been able to visit the offices and studios of Evolution Gaming Malta and meet with a number of the International Dealers who work there. 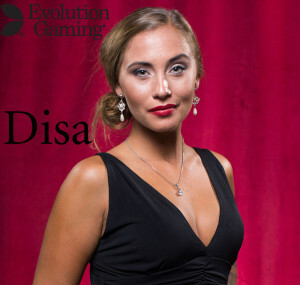 I’ve been promoting Evolution Casinos ever since I started LiveCasinoComparer and have always been impressed with the quality of the product and general presentation of the games. Evolution is arguably the number one provider of Live Casino games in Europe. They have studios in Latvia, Belgium, Malta, Italy & Spain. They offer Blackjack, Roulette, Baccarat, Casino Hold’em, 3 Card Poker and Caribbean Stud Poker from both generic and dedicated tables in multiple languages. 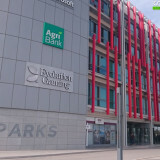 The Malta office and studios were setup in 2013 and focus primarily on providing the international language generic and dedicated tables. So using Unibet as an example, their generic tables are streamed from Riga and their native language tables are streamed from Malta. When you’re on the Unibet site you’d never know that they weren’t streamed from the same place. It was clear from the start of my visit that the quality of the games and the presentation of them stood out as being the prime focus of everyone working at Evolution. That goes right from the IT & Tech Ops guys who implement and support the infrastructure, to the card room operators whose job is to check and sort decks of used cards before they are allowed to be reused at the tables. Being a relatively modern company, (they are celebrating their 10th Anniversary this year – 2016) they have a nice modern outlook and don’t seem constrained by old business practices that some companies find difficult to move away from. You don’t have to look far to see that ethos in practice and one good example is how the company treats its staff. The facilities are hard to beat, with an onsite gym, restroom facilities with TV’s & PlayStations, lockers with phone charges, free tea and coffee machines. I particularly liked the big bean bags where you could crash for 40 winks in between presenting sessions. Safety is also a priority and there is a free taxi service for the game presenters who work shifts to ensure they get in and home safely. This was something that the staff really seemed to appreciate. I started the day with a briefing from the Head of Operations, Andres. Then I was given a tour around the facility. 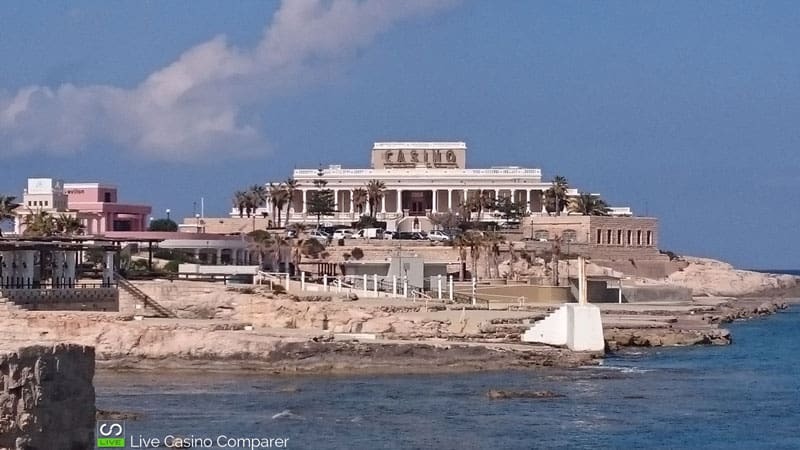 The Malta office employs over 300 staff and this is set to expand further before the end of the year. Fortunately Evolution has been able to take more space in the shared building and a fit out was in progress to add more tables and studios. It’s quite surprising how much space a table takes up. There is a camera rig and screens for the game presenter to see information on the players and the actions they are taking during the game play. To save space in some areas the roulette tables are just half tables. When you’re playing online you generally don’t see the real table and for space saving there is no need to have the bit that is out of camera shot, so they don’t. Very clever I thought. The dedicated table areas are separated from each other by partitioned walls covered in sound deadening foam. The area is generally quite dark. Each small studio area had its own lighting and branding to suit the casino using it. Training is taken very seriously. There is a dedicated studio used for the training academy and whilst I was there a number of new presenters were being taken through their paces. The training normally starts with basic game familiarisation and card and ball handling skills. Roulette and Blackjack are taught first. Once they’ve been mastered additional training is provided on the other games. It doesn’t stop there though with training on presentation skills and how to apply makeup in a series of specialist workshops. The training lasts for a few weeks and the presenters are taken through different playing scenarios to get them used to all the playing issues that may occur. Presenter performance is measured on a number of KPI’s (Key Performance Indicators). The number of mistakes, quality of presentation and how they engage with players is all assessed on a regular basis. Presenters that fall below the minimum standard are offered additional training. There is a structured bonus scheme so the best performing dealers get rewarded the most, so there is a great incentive for the presenters to do the best job possible. I was then given an opportunity to meet and interview a number of the dealers, so look out for my detailed interviews with Disa, Janica & Jewell. What came across from all of them was how player centric they were. They all wanted to give “their Players” the best possible experience while at the tables. They talked openly about their regulars and how it was nice to have conversations with them. All of them without exception loved their jobs. The dealers work in teams based around their native language with the size of the team determined by the number of clients and tables wanting that particular language. Each team would have a manager whose sole job was to look after the presenters. All the presenters worked shifts of some sort with each shift being a minimum of 8 hours. A dealer would normally be presenting for 90 minutes, changing tables each 30 minutes and then having a 30 minute break. I tried to count the different languages represented and I think there’s English, Italian, Dutch, Danish, Swedish, German and French. The presenters also have opportunities to take on more responsibility and job roles. 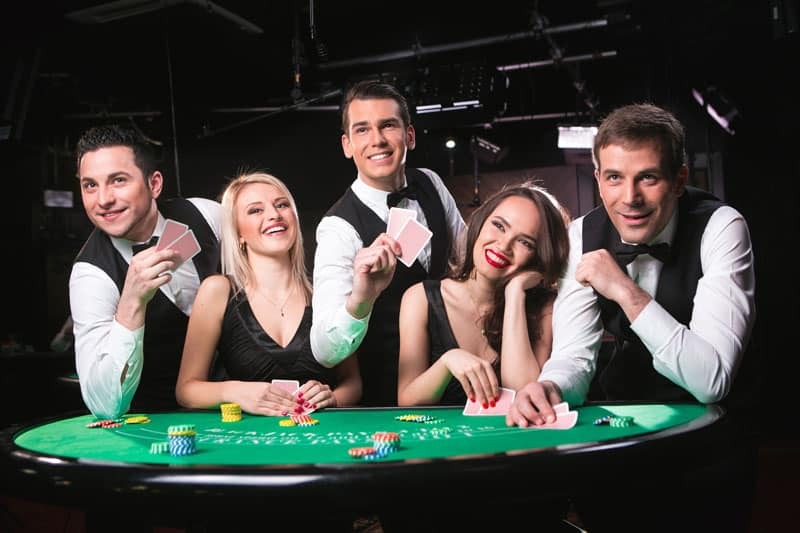 A popular next step is for the presenter to work on chat support, where they provide a bridge between the player and the casino if the player has a problem. If a player raises an issue at the table its first escalated to Chat Support who will try and resolve the issue. If they can’t, they raise a help ticket on behalf of the player with the casino before the player contacts them directly. If a casino doesn’t have this service then the player is advised to contact them directly. Within the studios and offices all doors are protected by a security system. All play on every table is recorded by a separate set of cameras from the ones used for the live streaming. Two reasons for this, firstly so they can “protect” the live streaming bandwidth and secondly so the feed is independent so less chance of mistakes not being caught. The recordings are kept in accordance with regulatory and licensing requirements. Each studio area also has its own MCR (Monitoring Control Room). Every table is monitored, with large screens showing depictions of every table with alerts being highlighted in Red. The operators keep an eye on everything that is going on. They are the first escalation point for the dealer if there is an issue and the team work to strict SLA’s (Service Level Agreements) to ensure quick resolutions. In terms of infrastructure backup, the building that Evolution occupies is on the same electricity circuit as the Airport, so they get priority should there ever be an issue with supply. The building has a generator and Evolution have invested in another to ensure continuity. The Training Academy also acts as a backup studio should there ever be an issue in one of the other studio areas. (I digress here as I know from practical experience how important these things are. In my previous role in IT I was my responsible for providing an effective disaster recovery solution for the business I worked for. We spent a lot of effort in setting up a DR solution and actually needed to use it twice in anger. Andres then took me to the Dragonara Casino where Dual Play Roulette is hosted. The table is beside the other roulette tables and there is a rig above the table and at the wheel end to hold the cameras. 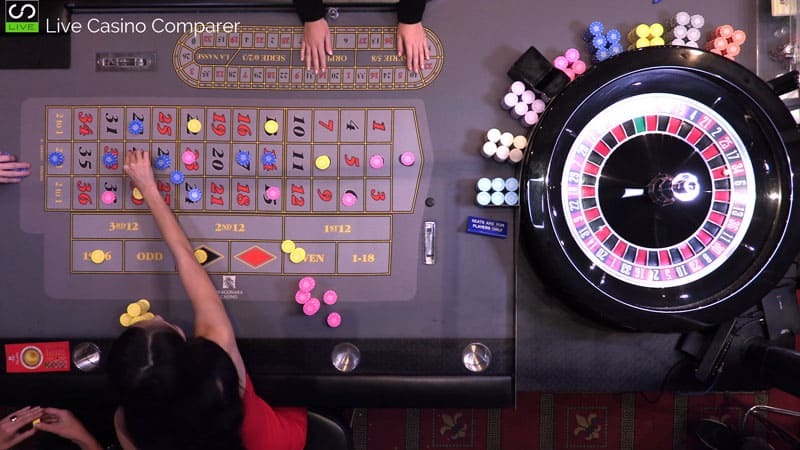 All play is controlled by the croupier and the table is used as a normal table. Nothing special is done to accommodate online players. The clever bit is the hardware and software that Evolution uses to stream the content and integrate it with the computer images you see online. Everything is driven from when the dealer spins the wheel. That was pretty much the end of my tour and while I was impressed with the facilities I think I was more impressed with how the operation was run and how content all the staff seemed to be. You may have noticed that throughout my report I’ve referred to the Live Dealers as Game Presenters. That’s because Evolution feel that the dealer is doing much more than dealing when they are in front of the camera. They want the games presented and so refer to the dealers as presenters, which is fair comment I think. Evolution’s business plans forecast rapid growth this year and with new games such as Ultimate Texas Holden and Double Ball Roulette set for imminent release I can only see things improving for Evolution. The delivery of the experience to players is the no 1 priority and I hope they don’t lose that as they grow. The detail really matters. Personally I’d like to see more innovation around some of the existing games, so players can experience some of the playing conditions they get at land based casino, like being able to do a blind double down on Blackjack or be able to tip the dealer by playing a tip bet or just having the option to tip. Personally I like squeezing the cards when I play 3 Card Poker so it would be nice to see that developed and perhaps have a wider choice of side bets on Blackjack. I’d like to openly thank Evolution for giving me this opportunity to look around their facility in Malta. It’s nice to see what sits behind the screens that we play on a regular basis and meet some of the people responsible for delivering such a great product. 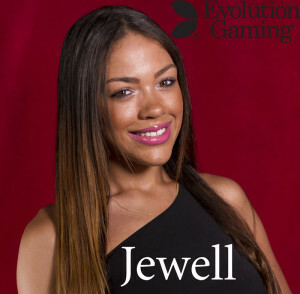 Look out for my interviews with the dealers and some more regular updates on what is going on at the Evolution Gaming Studios.